Hyderabad: Public transport in Hyderabad will become all the more efficient with Telangana State Road Transport Corporation (TSRTC) planning to integrate its service with metro rail. This decision came soon after Telangana’s Chief Minister K Chandrasekhar Rao promising to roll out two more phases of Hyderabad Metro Rail in coming three months. TSRTC is now looking to firm up plans to offer enhanced connectivity to commuters. Suni Sharma, Roads and buildings principal secretary shared that RTC will soon integrate its services with the metro rail network. This will ensure a smooth and hassle-free commute for those taking public transport. Sharma made this announcement during an expert committee meeting at Bus Bhavan early this week. 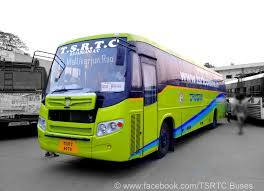 The meeting was chaired by Transport minister P Mahender Reddy who shared reforms will be rolled out in RTC. Reddy also informed that an expert committee would be formed for deliberation once in a week. They will also study subsidies presented by RTC in other states. The committee based on study and research offer list of suggestions for proficient utilization of resources to usher in efficiency. After the directives from the chief minister, a high-level committee will be constituted to conduct in detail study of RTC. The comprehensive report will be submitted to Sharma with detailed plans and suggestion. Reddy also added that a report on the expert committee meetings would be handed over to the RTC joint action committee. Once both public transport buses and metro rail services will be integrated, commuting will become a cakewalk in the city.